So, how do I do this please? I simply wish to import an image to use as the background layer to a game I am attempting to code. Specifically, it is the background to a Connect4 type game which essentially shows an empty Connect4 board. I want to use that as the background, and then overlay sprites as each player makes their turn. I have done the code for the Connect4 game, now figuring out the correct way to present this on the screen. 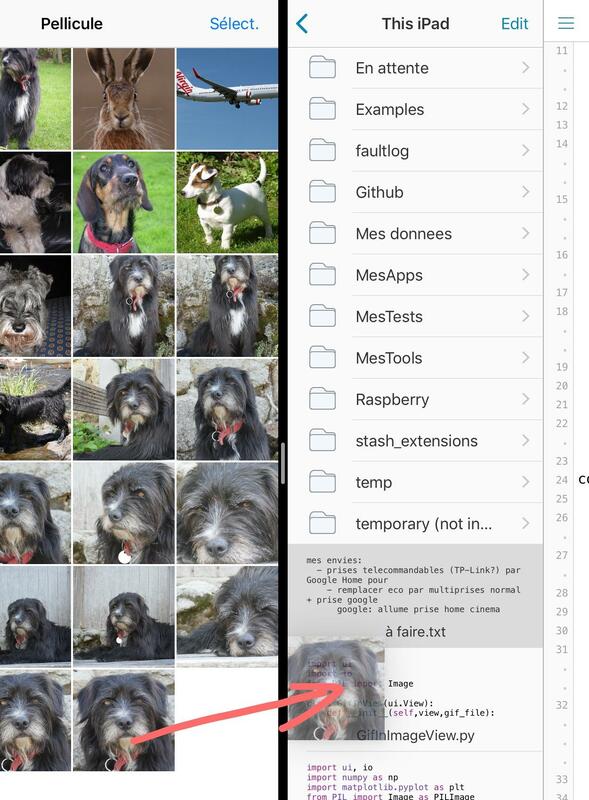 So, to simply import an image from camera roll to use within a pythonista script. 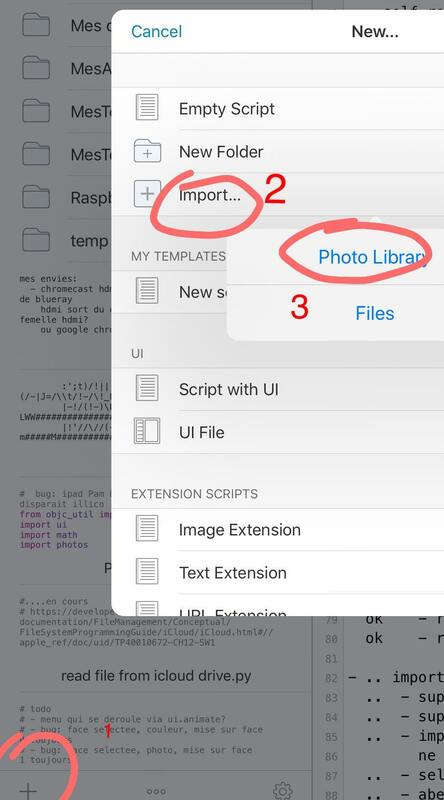 So @cvp - I have done this but I am not sure where the image I allegedly imported has been stored within Pythonista. When I try to select that image as I would for any image selection, the image does not appear anywhere. So, say I want to use 'emj:Black_Circle' as an image, when I click the bottom right to get the Pythonista dialogue box for adding new image / sound / colour / font etc, the image I just imported is nowhere to be found. Specifically, I want to add an image from my photo library to use as the background image for a Pythonista app. Aha... thanks for the clarification. Is there a way one can add to the library of images/sounds etc available within Pythonista? I am not planning on using he UI module in this particular script, but have found a way of displaying and possibly using an image for a screen background using the PIL image library.